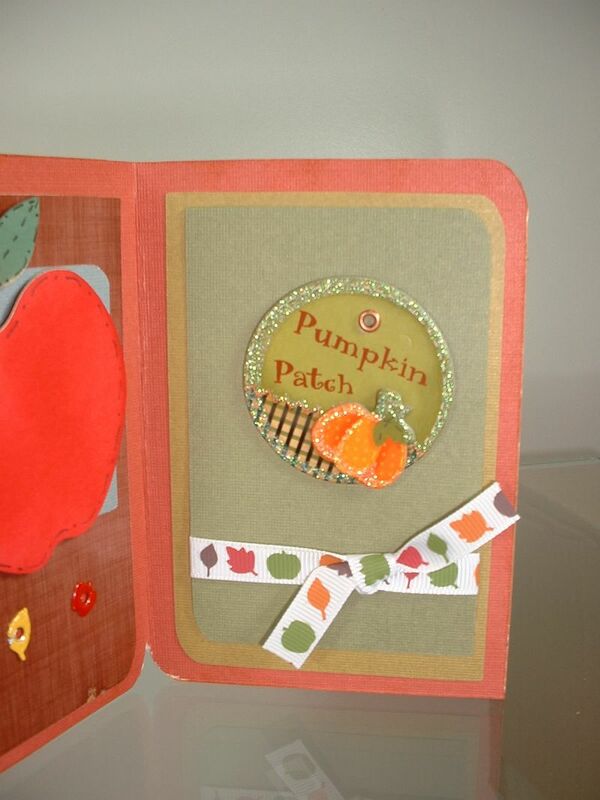 Welcome to the Fall/Halloween Blog Hop featuring the Thankful Thursday Design Team! We're so happy that you've decided to join us. Hope you're enjoying all the fun things that you're seeing along the way. I know I'll be hopping just to see the wonderful projects that all these talented ladies have made. Now to get the formalities out of the way. Hopefully you have just come from our very talented Ruby at Paper ~Junkie, if not then you must hop over to our lovely hostess Jenny at Crazy About Cricut . We wouldn't want you to miss anything so if you just stumbled here I love that you came to visit, but if you'd like to hop along then start with Jenny at the beginning and hop along!!! Love to have ya!! Here is what I've created for this hop. I must say that our family doesn't celebrate Halloween; we celebrate Harvest. Each year we attend a Harvest Party at a local church here near us as well as attend the Golden Harvest Festival at our Nature Center. I wasn't sure which to present you with here so enjoy these. 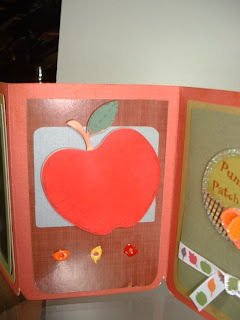 This one here is a Fall Bulletin Board idea that I had. I love how this went together. The letters were cut 4" using the Pooh Font in the board selection. The scarecrow is from Simply Charmed. I just love him, he's so cute!! This is another Bulletin Board. 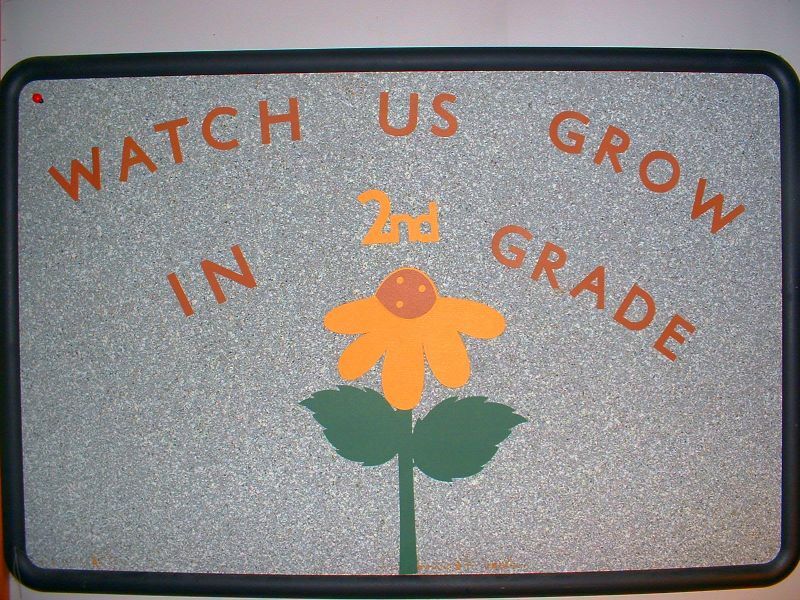 I love the saying "Watch Us Grow in 2nd Grade". The children just grow so fast. I tell ya, ya blink and they've grown even more. I just love to cuddle and squeeze my little one. He's such a peanut! I love him so much and so happy that we have so much fun together. This next card is a tri-fold. I do love how it turned out, however I do not like the way the camera took the photos. I have been having issues with the camera. I really need to get another one. 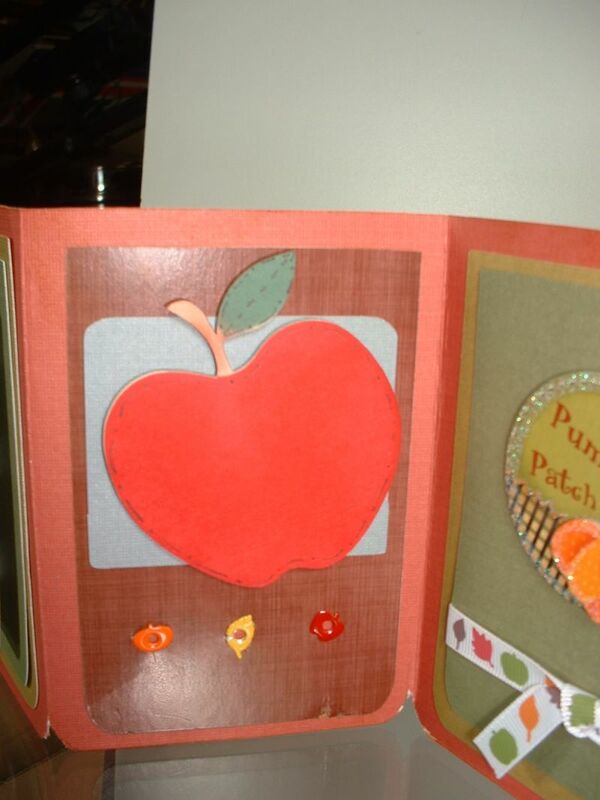 The apple I inked then did some embellishing on it to make it appear stitched. The card is total of 11" in width then I scored it to make three panels. I designed the base in Cricut Craft Room. I just love that program. I know it has it's kinks in it at the moment, but it's still in Beta Testing. I do enjoy it so much!! 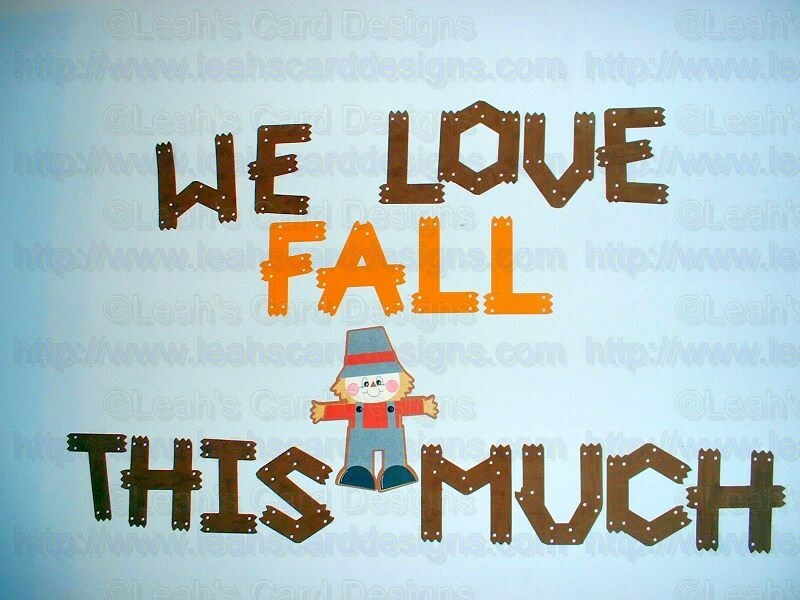 Hope you're enjoying your Fall Season. What fun family things do you do during the fall?? Do you have any traditions as we do?? OH, and before I forget there is an AWESOME GIVEAWAY!!!!! 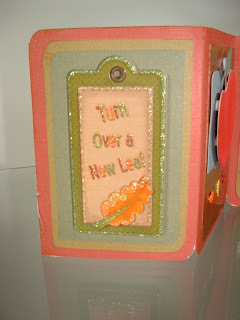 Yes, yes there is...now here is what the prize is it is the beautiful Celebrate with Flourish Cricut Cartridge. To have a chance to win this wonderful cartridge you must leave a comment on each blog in this hop. Thank you so much for joining us in this hop. Now I must have you hop along to see more wonderful things from our talented group. I am now sending you off to Tanya at Scrappin' Ky Momma! Enjoy the rest of the hop and have a great season!!!! WOW Leah!! I love your bulletin board ideas!! Totally COOL!!! The card is awesome!! You are on a crafty roll my friend!! Love all your projects. The scarecrow is so cute. Thanks for sharing. Very cute idea i love the sign. Wow!!! Your projects are wonderful! I especially love the scrarecrow in your Fall bulletin board! Great card, the peach color is very pretty. Awww Leah, all of your projects are so cute! I had a friend who lived on a farm when my children were small and she didn't celebrate Halloween either, so we would go to her "Harvest Party" every year. It was so much easier than trying to explain Halloween to a young child. Nice projects and lovely card!! Leah~ I so much love the scarecrow he is the cutest. I didn't even know he was on that cart I will have to make a few to put in my windows. 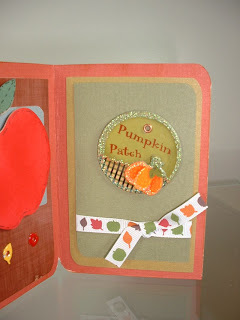 I have never tired making a tri fold card but, your looks like it was fun to make. One more project for the list. LOL. Don't us paper crafters always have "the list". Love the projects! They are great!! My husband and I are still young, so we don't have any kids, but we love having bonfires with our friends! Fabulous projects! I love that little scarecrow and your card is great. What great projects, love your blog also What a great hop! Great projects! 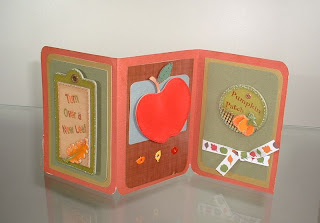 Your bulletin boards are adorable and I love the tri-fold card! 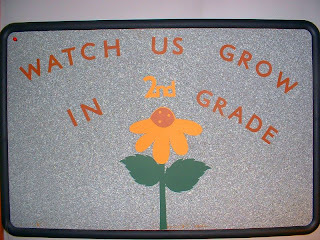 I love the two bulletin boards, how cute! And that card is beautiful, love the little sparkle! Thanks!